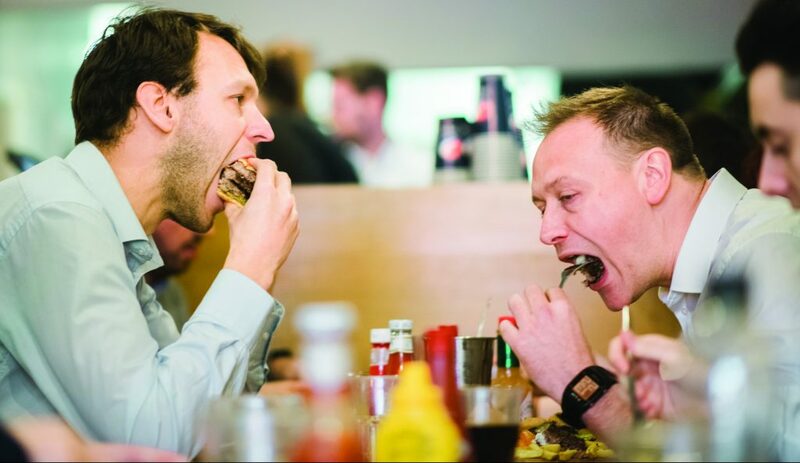 A FOOD eating challenge of epic proportions was served up to Woking customers on Friday, as Burger Box launched its Thanos Burger Challenge. 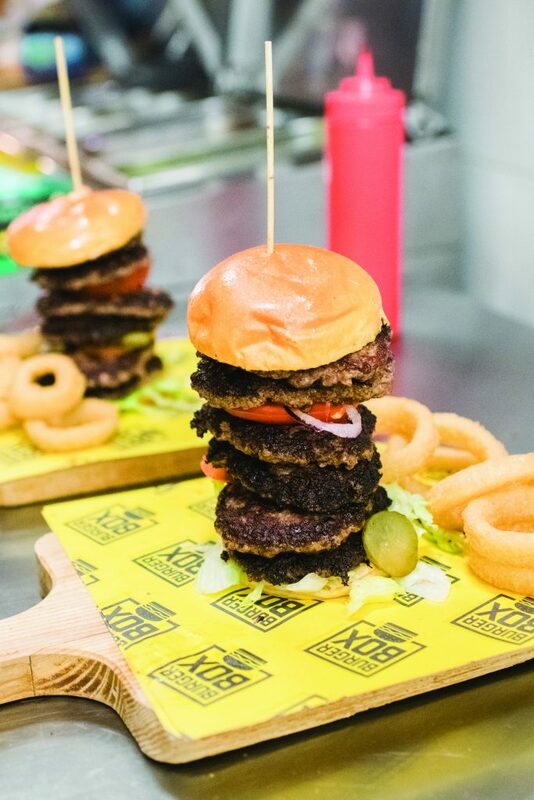 Named after the Marvel supervillain, contestants who beat the challenge go on the Wall of Fame at the Chertsey Road restaurant, with the fastest each month winning a pair of VIP tickets to the IMAX cinema in Leicester Square to see Avengers: Endgame. But standing in the way of that prize is a towering 32oz burger – made up of a six-high stack of meat patties – plus onion rings, fries and a soft drink. All of which needs to be consumed within 20 minutes. Roger Chan of McClaren took his place on the Wall of Fame and looked set to collect the tickets, after completing the monster feast in a time of 10 minutes and 42 seconds.